Exciting news, the counter has started and there’s only ​88 days​ till opening day at Delaware Speedway for the exciting and electrifying 2019 season! Trusting the time will go very quickly so stay tuned and get ready to buckle up from both a driver and spectator perspective. Based on driver registrations to date, there’s noted influx of new drivers and drivers in new divisions this year. Nice to see some drivers moving up along with new ones starting in 2019. Should be a very interesting season for sure. Also, great to see more Windsor area drivers coming back to the track. One of the teams is making a big jump from Bone Stocks to Super Stocks. Scott Slager (STS Roofing) has acquired the former #51 Super Stock of Matt Robblee, who is moving to Late Model. Scott’s driver, Derek Moesker will be behind the wheel of the Super Stock. I also hear maybe a new Bone Stock is also in the works. Good luck to this team. I think they will do very well. 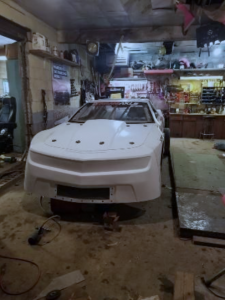 Below is a picture of the car in the STS Garage and also a preliminary design for the new wrap. Looking forward to including them in future publishing of the column​. Well, we are almost into the Daytona race and it’s nice to see race cars on TV. It means spring and summer can’t be that far behind. For those who are interested or follow the racing at New Smyrna Speedway World Series, you can see the features live on Fanschoice.TV every night. Helps quench the desire for a racing fix! Will any of the teams be displaying their race vehicles at the London Speed and Custom Car show being held at the Western Fair Grounds Agriplex on March 23r​ d​ & 24t​ h​ , 2019? As mentioned in the previous column, I can’t believe the enthusiasm for the Delaware Speedway 2019 season. More drivers and more cars than we have seen in the past few years. This is good for fans and competitors alike. Look forward to the regulars coming back also. Question from last week​ – ​who do you think was the best driver ever at Delaware Speedway? Any era. – ​well the responses were minimal, there were some good names, like American supermodified driver Wayne Landon, Earl Ross, Jr Hanley, Harvey Lennox, Steve Robblee. All extremely talented drivers. Some day, just go down the list of drivers that started at Delaware Speedway and have gone on to have many wins. It’s a impressive list! 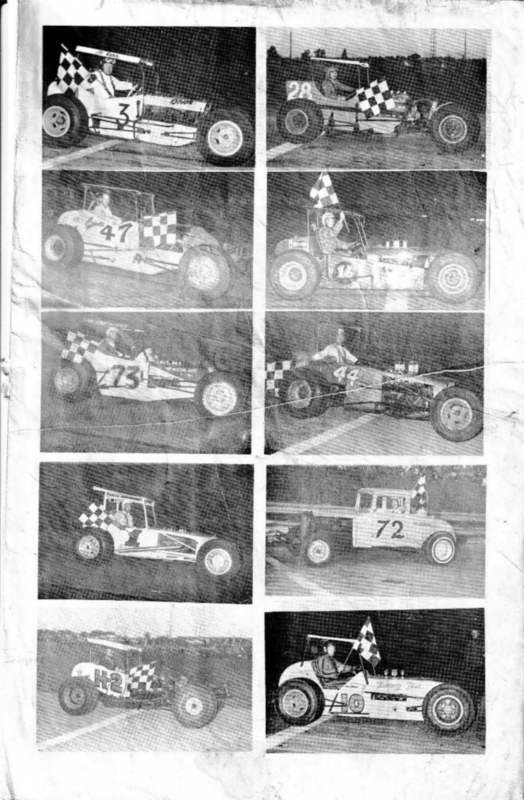 Found a page of interest from a 1966 Delaware Speedway Program. This was a couple of years before the track was enlarged from quarter mile to its present half mile form. Can anybody name all the drivers?